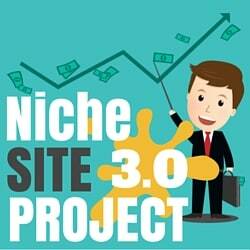 After the huge successes of Niche Site Projects 1 and 2, I've decided to come back with Niche Site Project 3.0. 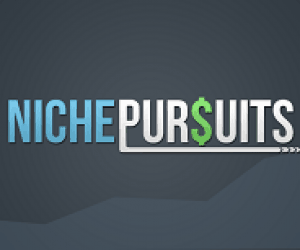 In this project my team and I will be coaching 3 students to build a niche site from scratch. I will coach one, Perrin will coach one, and Jake will coach one. As a result, we will have 3 sites to share publicly and really 3 projects to share throughout the process. You can follow along with this project by reading the posts below. I feel I am a great fit for one of the slots for this project provided your selection process seriously include candidates with little or no experience and are off senior citizen age and have all the determination, finances and time commitment to fulfill the goals. We are willing to place a reasonable deposit like what Hayden requires so that you get respectable candidates.Noticing from the previous project without allowing one slot for a beginner to apply for a slot would be an exercise in futility. , It certainly would be an ideal situation for you if you made a beginner successful. I have noticed that coaching calls 4 and 5 between Perrin and Colleen have not been published.I normally listen coaching calls of all 3 Jake,Perrin and Spencer regarding the same subject but unable to find mentioned calls. Just checked that these two calls are not in the 23 posts mentioned so far but i can seen them in the right hand side bar. Thanks for the heads up everyone, I got the calls added to this page. Spencer has provided a ‘course’ here at absolutely no cost which far surpasses any internet marketing course I’ve paid for. (Including one I paid over $1000 for!!!) I am a new internet marketer and I started following the NSP3 course a few weeks ago and my first amazon payment just arrived. Anyone that overlooks the Niche Site Project 3 as an extremely powerful method of making money online, just because it’s free, is missing an incredible opportunity to build a powerful online business. Thank you Spencer. Was Ryan’s site ever revealed? I have thoroughly enjoyed following this project. Thanks so much! I seriously have been loving this series so far. Lots of great knowledge and actionable advice that I will be implementing into my blog. Wow. Many many Thanks For this Great Info. Spencer’s stuff is AMAZING and one of the few people that actually practices (AND SHOWS IN DETAIL) what he preaches. Definitely a unique thing in the MMO space where countless people just sell courses, but don’t actually DO what they are selling. Thanks for all that you’ve done and given to the online community! Hi Spencer. When will the next update for NSP3.0 come out? Hopefully by the end of this month. Are the lessons taught in NSP 1 and 2 still applicable today? Please forgive my ignorance; I’m new to this. Thank you very much for all of the helpful information you provide. I really appreciate it. Yes, much of it is still relevant. However, I would just follow NSP 3, since its the most up to date. First of all thanks for this great work, i just follow your podcast with samara step by step ,one of my friend follow this when its start and right now he is making 1k+$ per month ,so i get great boost to see it and willing to start new one for myself . Hope find you all the way of my journey . Lots of thanks Spencer Haws for outstanding information. I am a huge fan of nichepursuits. Spencer’s stuff is AMAZING and one of the few people that actually practices what he preaches. Thanks so much for this project very helpful! Will you be publishing new figures for the sites soon? Interested to see if they are producing more income. Thanks James. No, the last income report was the last update I think. Most of the posts are not reachable. Thank you for providing great detail for a starter like me. It was really helpful in building my first niche site which ranked for a few keywords and hard work is going on.